Located between the Bank of England and St Paul’s Cathedral, Bloomberg’s new European headquarters is the world’s highest BREEAM-rated office building to date, providing approximately 1.1 million square feet of sustainable office space. High sustainability standards were the core philosophy of every aspect of the building design which created an innovative and revolutionary space. Bloomberg HQ contains three new public plazas, two featuring specially commissioned works of art, a retail arcade that will reinstate an ancient Roman travel route and an anticipated cultural hub that will restore the ancient Roman Temple of Mithras to the site of its recovery. The distinctive bronze blades on the buildings exterior allow it to be naturally ventilated providing a ‘breathable’ façade as they open and close dependent on temperature. This year EU Green Week will explore ways in which the EU is helping cities to become better places to live and work promoting participatory approaches to urban development, engaging local authorities and citizens, and encouraging them to share their vision of a sustainable future. This webinar will support this vision, Kartik will provide an insight into the development of the Bloomberg London Head Quarters, the innovative ideas behind this unique building and some of the challenges faced throughout the project. Kartik Amrania is Head of Building Sustainability Department of Sweco UK. Under Kartik’s leadership Sweco building sustainability team have delivered some of the most significant sustainable buildings in the UK and hence been allocated BREEAM Company of the year three times in 2014, 2016 and 2017. 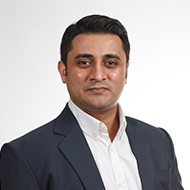 Specializing in sustainable design of the built environment, Kartik has over 15 years of experience in commercial, retail, industrial, military, educational and residential developments for both new and refurbishment works. Kartik is involved in developing energy strategies that evaluate solutions relative to cost, logistics, energy and carbon reductions, green ratings certifications, savings and payback time for new and existing masterplans and buildings. He also has some of the world’s highest BREEAM scores under his belt of over 98 % - Outstanding Rating Bloomberg’s new London Head Quarter building. Email Rhianna to register your attendance.